Oh, New Years. The time for resolutions and goals that aren't kept because life begins to happen. I personally never make "New Years" resolutions, but every semester I make goals for the semester. I always find it easier to keep with a goal if I only look at it from a short-term perspective. With that being said, I went ahead and made some long-term, overarching goals, for the purpose of this DIY! 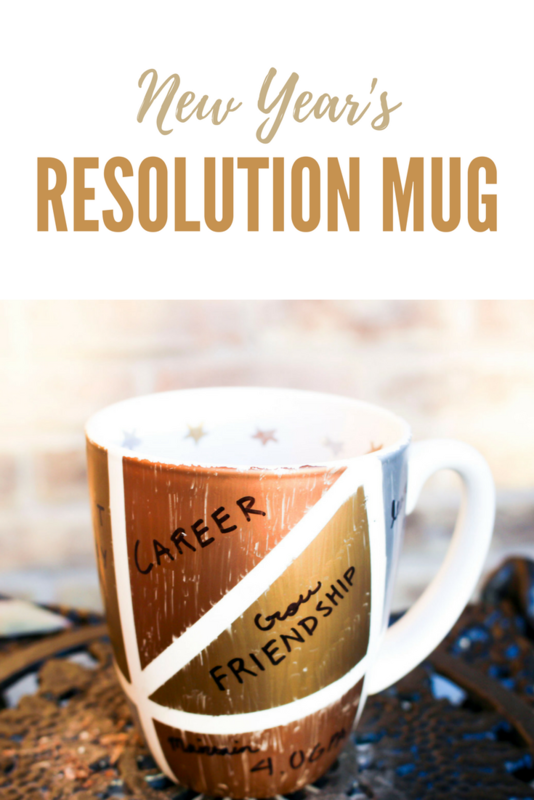 When brainstorming up New Years DIYs, I wanted to come up with something that would actually be helpful in reminding me of different resolutions. It is a well-established fact that I am a full blown coffee addict. 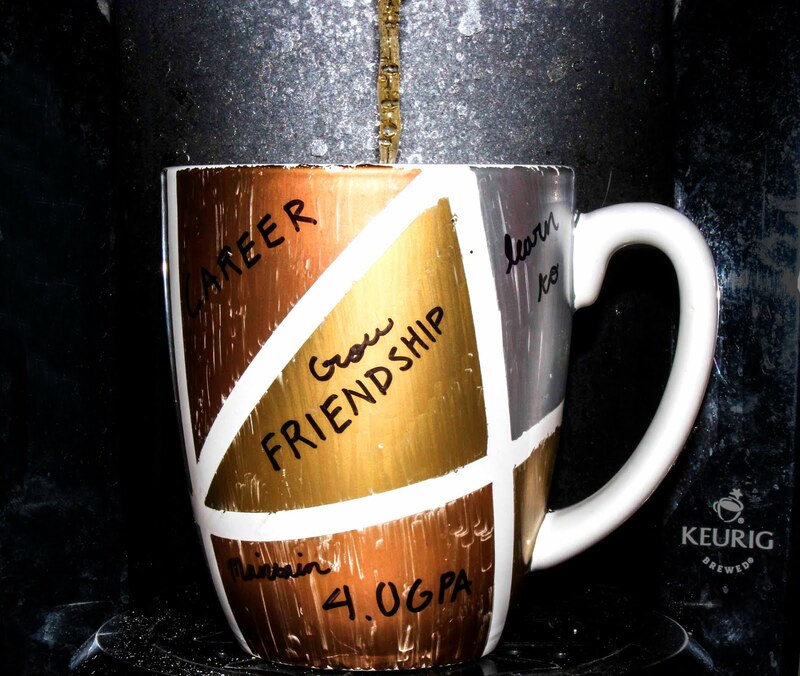 What do coffee addicts use every day? A mug of course!! 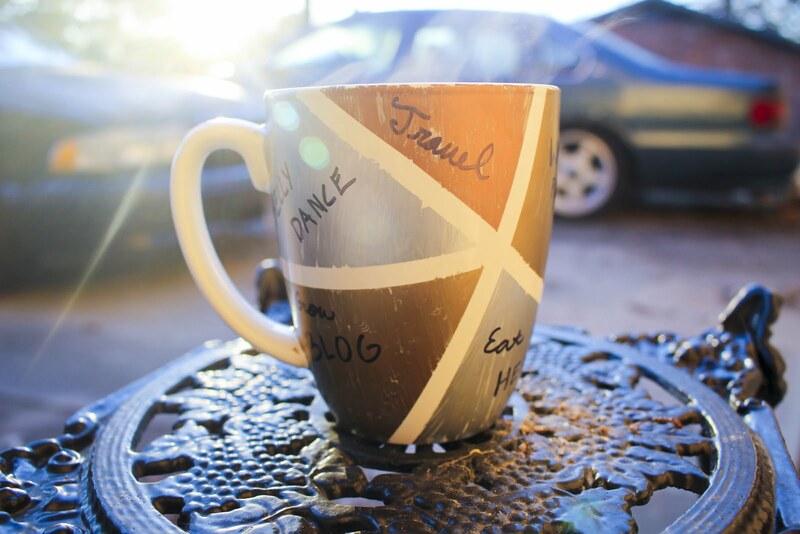 What a perfect way to start your morning off by visually seeing your resolutions as you drink your cup of joe! 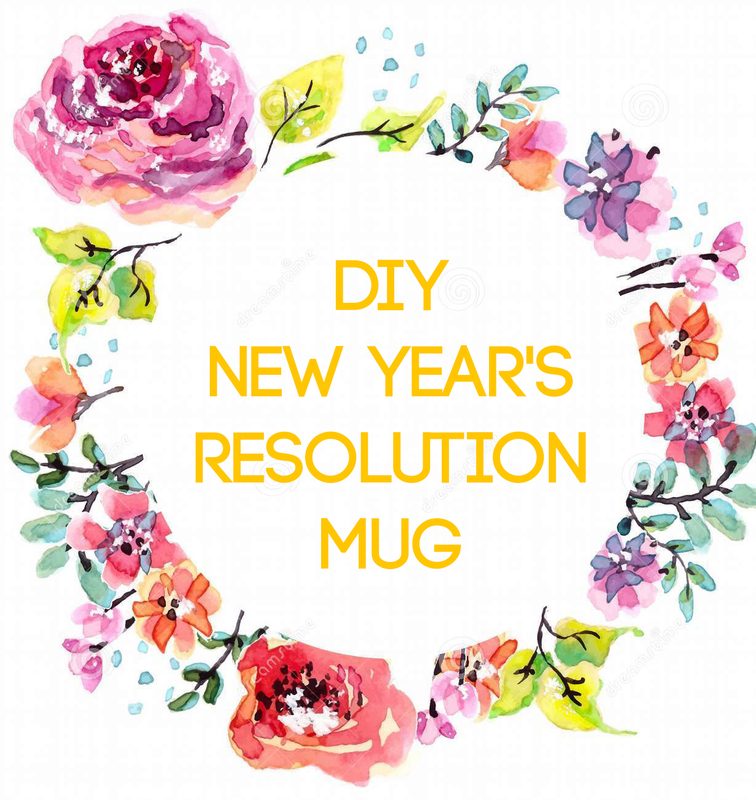 This DIY New Years Resolution Mug is a helpful, and useful, reminder of your New Years goals. 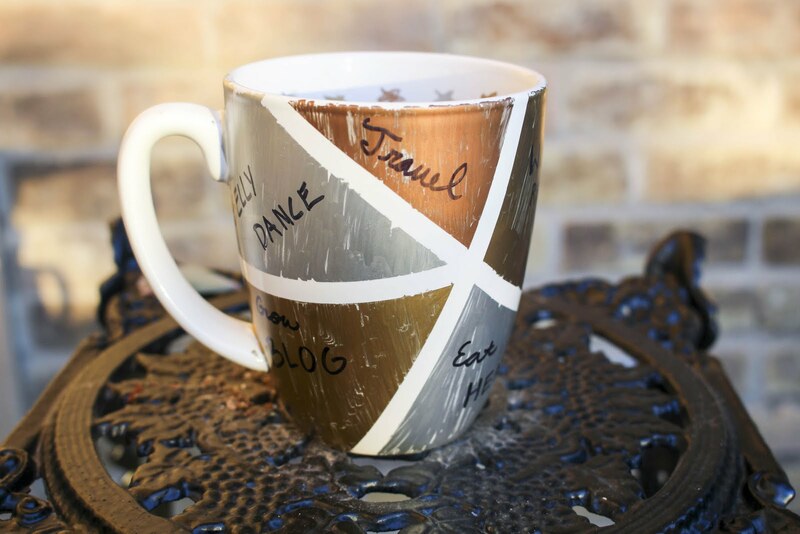 To being, take your tape and section off your mug in a variety of different crisscrossed pattern. Next, take your metallic sharpies and color each section in fully. 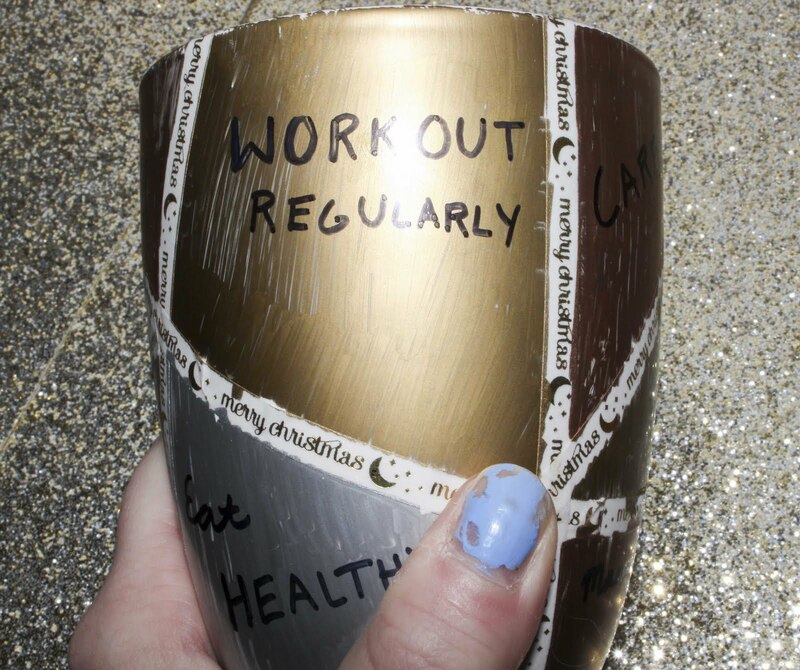 Once the sharpie is all dried, take a black sharpie and write one of your resolutions in each of the sections. Now, let air dry for 24 hours. 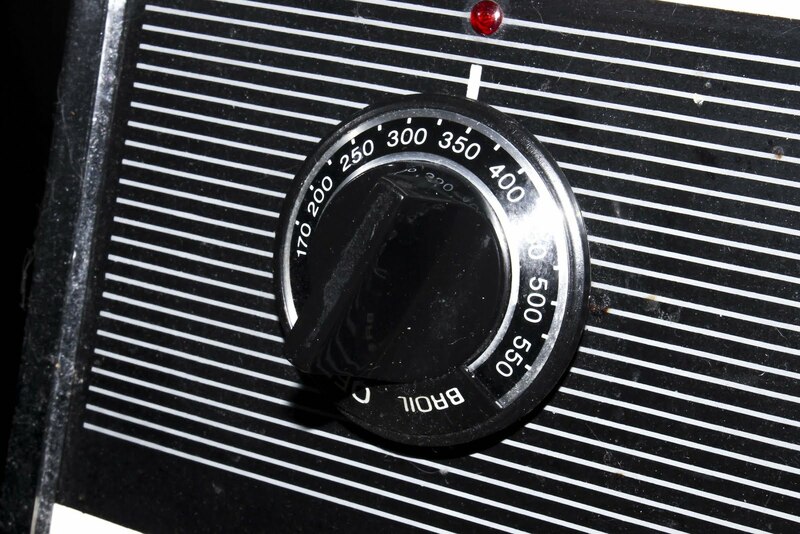 The next day, set your oven to 350 degrees and place your mug in for 30 mins. 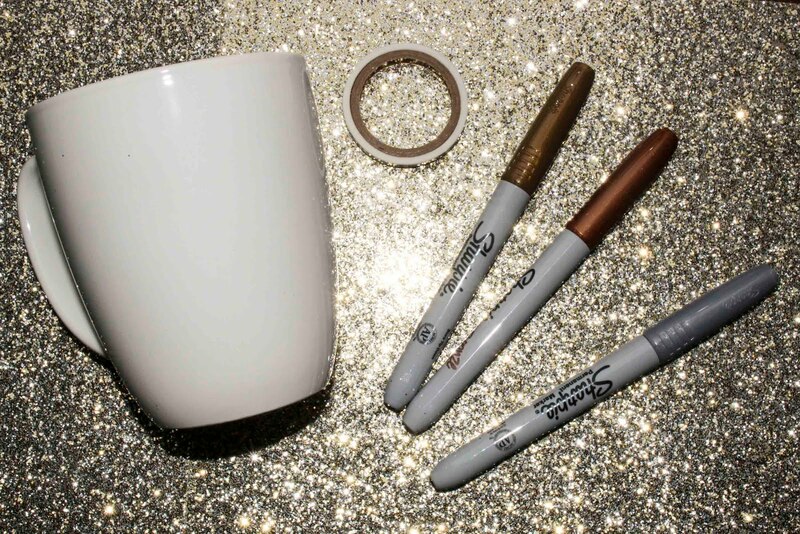 This will seal the sharpie on the mug. 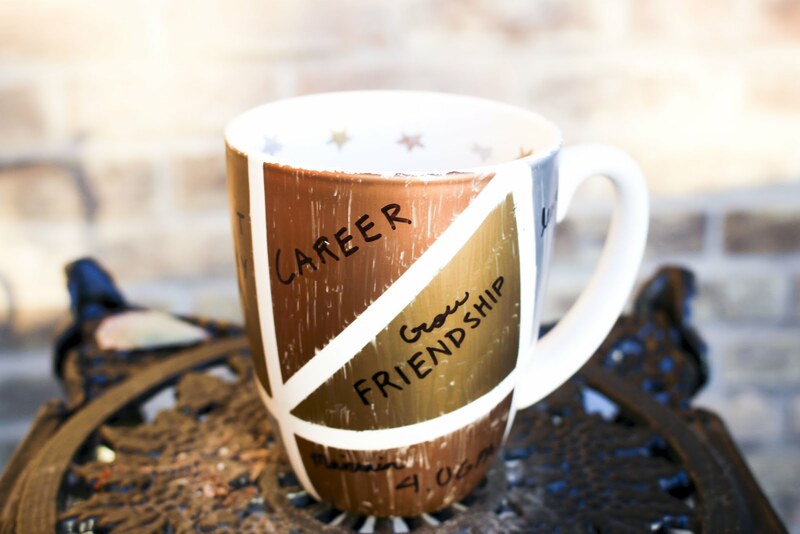 You can wash this mug no issue now! 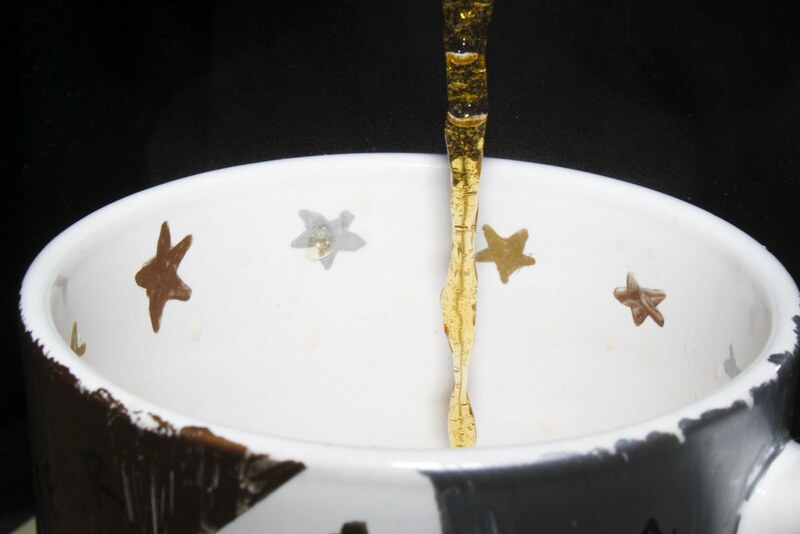 After thirty mins are up, carefully take your mug out of the oven and let cool. 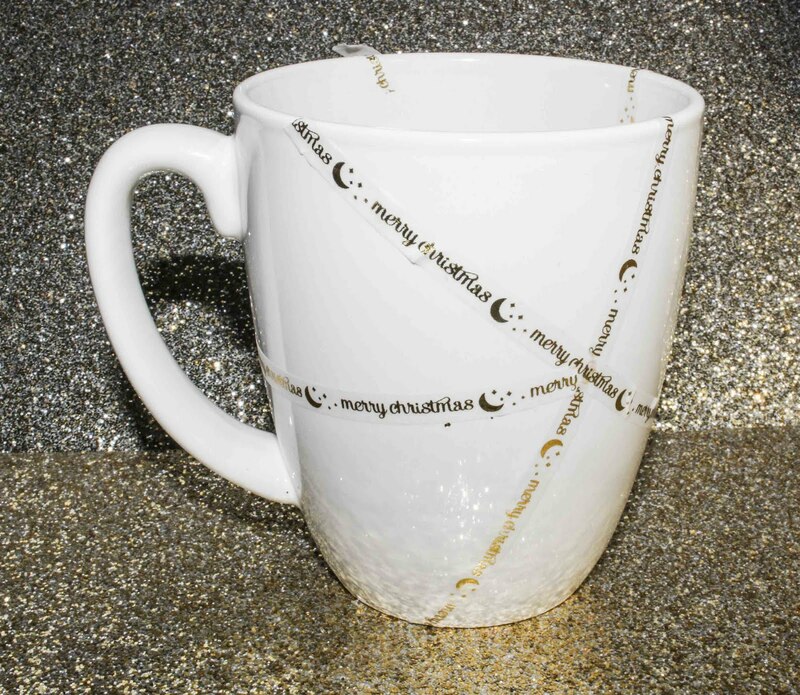 Now you're good to use your mug! Let me know what some of your new year's resolutions are below! Happy New Year!